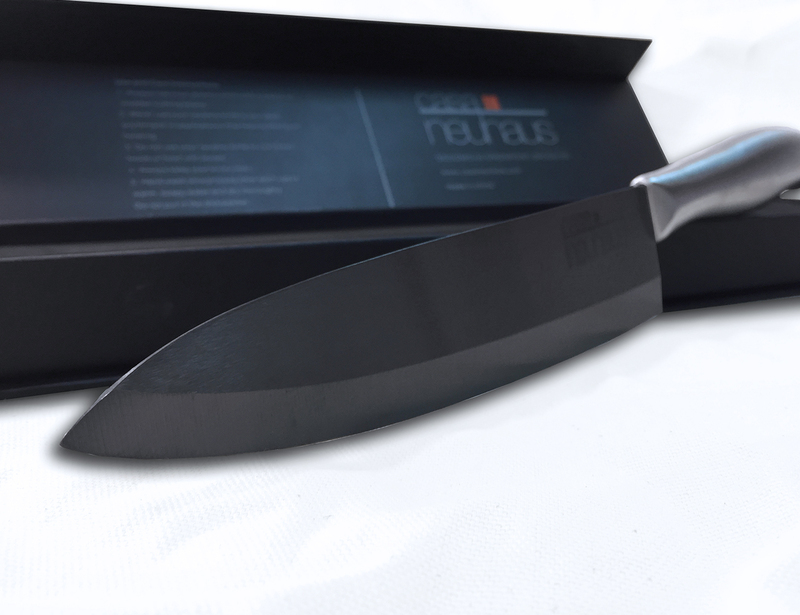 Casa Neuhaus ceramic knife giveaway!!! Have you ever worked with a ceramic knife before? Well – I’ve got great news! Just in time for the holidays, the amazing folks at the Greenpoint, Brooklyn-based Casa Neuhaus have offered to give away one of their ceramic knives to three readers of Brooklyn Homemaker! Can you believe it? Not one… THREE! They have three knives to offer; a 3 inch paring knife, a 5 inch utility knife, and a 7 inch chef knife, and three lucky winners will win one of these three styles for free! I’ve had a chance to use these knives myself, and I have to tell you that they’re amazing. They’re super super sharp and haven’t dulled one iota despite the abuse I put them through in my kitchen. Not only that, but they’re also really lightweight and beautifully designed. They’re gorgeous and modern looking with dark blades and stainless steel handles, and they even come with in their own really attractive gift boxes complete with sheathes that fit snugly over the blades to protect them from damage. Most ceramic knives don’t come with a sheath, but since ceramic can crack or chip if knocked around in a drawer, I think this is one of my favorite features! If you have ever worked with a ceramic knife before, odds are that you’ve used white ceramic. 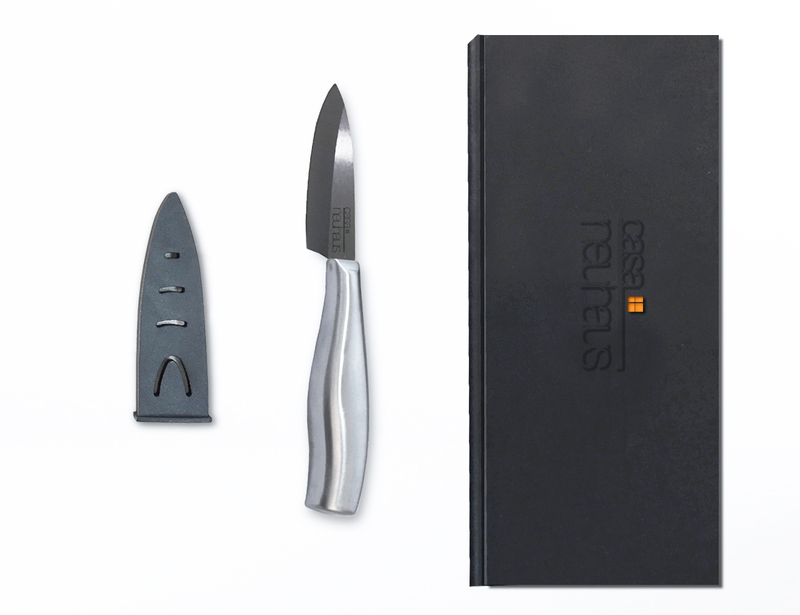 Casa Neuhaus‘ knives have black ceramic blades made of black zirconium oxide. 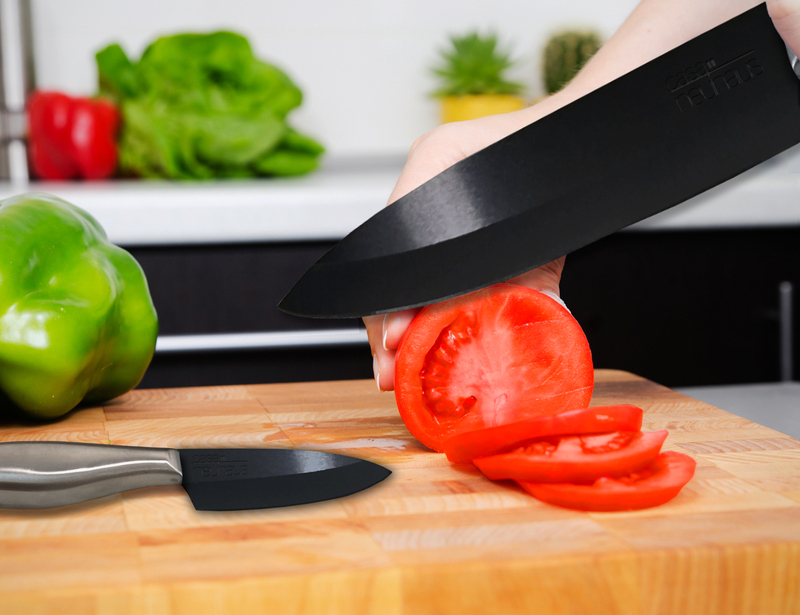 Unlike white ceramic blade, black zirconium oxide offers even more sharpness and durability than traditional ceramic knives. These knives even come with a three-year sharpness warranty that includes a free sharpening service (if needed)! And hey, if you don’t win but still want one of these knives, they’re very reasonably priced and available through their webstore. A ceramic knife is a knife made out of very hard and tough ceramic, often zirconium dioxide (ZrO2); also known as zirconia. These knives are usually produced by dry pressing zirconia powder and firing them through solid-state sintering. The resultant blade is sharpened by grinding the edges with a diamond-dust-coated grinding wheel. Zirconia is 8.5 on the Mohs scale of mineral hardness, compared to 7.5 to 8 for hardened steel and 10 for diamond. This very hard edge rarely needs sharpening. 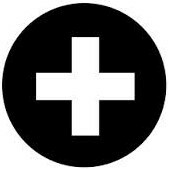 Zirconia is technically a laboratory manufactured diamond and thats what our knives are, thats why they are so sharp! 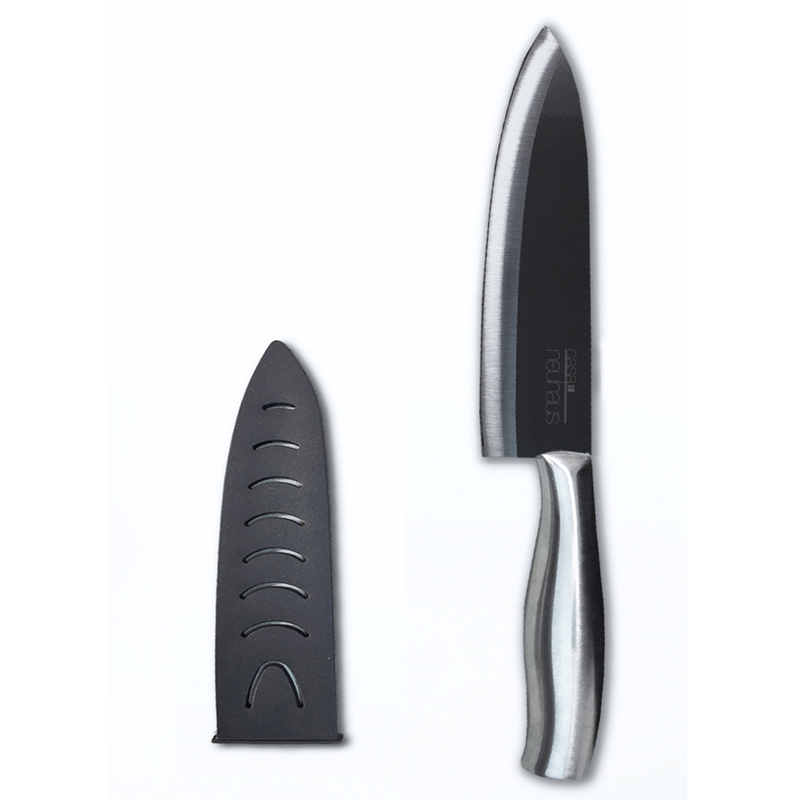 We even give them a final heat treatment that makes them even stronger than other ceramic knives on the market, hence the dark color. ANY SPECIAL CARE OR INSTRUCTIONS? – Never use them on any kind of bones or frozen stuff. Remember our knives are super sharp and strong but not unbreakable. – Hand wash them. Don’t put them in the dishwasher. Remember that ceramic doesn’t absorb any taste or smell so just use a wet sponge to clean them. – Don’t forget to put their cover sheet even if they are in the drying rack. – Be careful to not drop them on a hard surface. And always use your ceramic knife with a plastic or wooden cutting board. Three winners will be chosen, each will win one knife. Entries will be accepted until, and contest will end on, Monday December 15th, at 6PM EST. 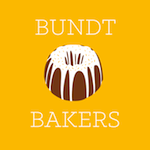 To enter, please follow these links and “like” both Brooklyn Homemaker and Casa Neuhaus on facebook. Then come back and leave the comment “Gimme that knife!” on this post, and tell me what you want to cook with your new knife if you win! Only one comment per entrant, please. Sorry, but immediate family is excluded. The winning knives can only be shipped within the contiguous United States, so entrants must live or have a mailing address within the lower 48. Winner will be chosen, using a random number generator, from the total number of comments when the contest comes to a close. Winner will be contacted via email for shipping information. Good luck! And happy holidays from Brooklyn Homemaker and Casa Neuhaus! Gimme that knife! 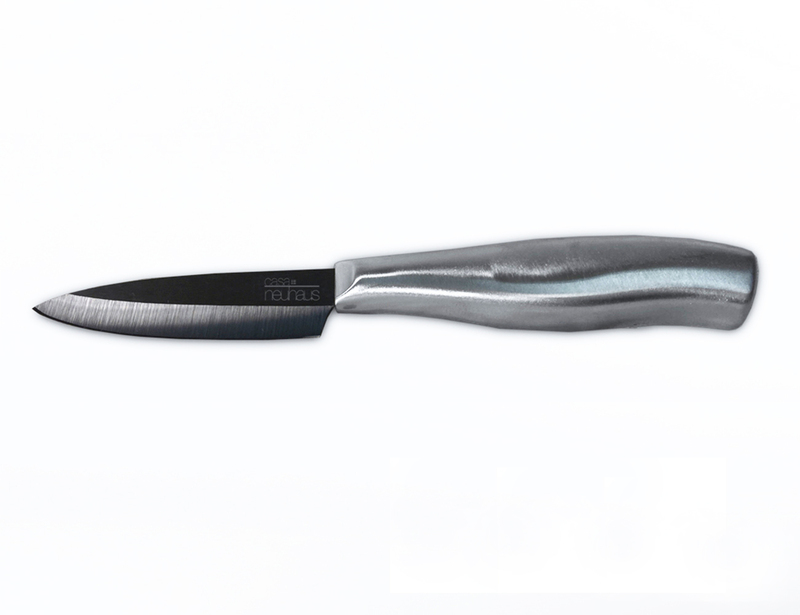 I would like to use this wonderfully advanced knife to slice my garden tomatoes super thin so they melt in to my scrumptious pesto, tomato, and cheddar grilled cheese sandwiches this summer. We eat these lunchtime favorites on busy Saturdays and they are a big hit with the hubby! I have never used a ceramic knife, great giveaway Tux and since I am a stones throw to Williamsburg I will have to check out Casa Neuhaus. “Gimme that knife!” I would probably use it for chopping vegetables since my boy likes squash and for cheese. Gimme that knife! Mine shattered. However, I don’t do Facebook. Gimme that knife! This sounds perfect for me, since the sound of sharpening knives sets my teeth on edge and makes me run from the room, shuddering. I’d use it a ton for chopping ingredients for soups and salads! Gimme that knife! I’m all about the soups these days. Will probably make your Roasted Chicken & Wild Rice again. Gimmie that knife! I have some veggies that need chopped for stew! Thanks for doing the give away Tux! Gimme that knife! Seeing that I only own 3 forks, 3 spoons, 3 soup spoons, 3 butter knives, and 1 bend-y steak knife from Walmart, I will be cooking all KINDS of things! It would be amazing to easy cut tomatoes (my favorite!) and not have them be ragged messes! And to easy slice chicken breast would be great too!! I know that a great knife can last a very long time and I would LOVE to have one! Gimme that knife!! For Real. I’m gonna slice everything up – especially tomatoes. Tomatoes are so hard to slice with a crappy knife! “Gimme that knife!” I have never used a ceramic knife before. Would love to test it on onions and My Husband has been begging me to make French Onion Soup this winter :) Happy Holidays! Gimmie that knife! Nathan and I will use this knife to make our family weeknight dinners! At 79, my mind`s still sharp and cooking, baking, I adore, Alas, my ancient knives are DULL. To chop and slice and mince, a bore. A knife, ceramic sounds so cool, And apple pie, a chore no more! “Gimme that knife!” I want to slice my way through the Twelve Days of Christmas, New Year, Mardi Gras, St. Patrick’s Day, Easter, Mother’s Day, The Fourth of July, The Dog Days of Summer, Fall Feasts, and on to Christmas again. And repeat. 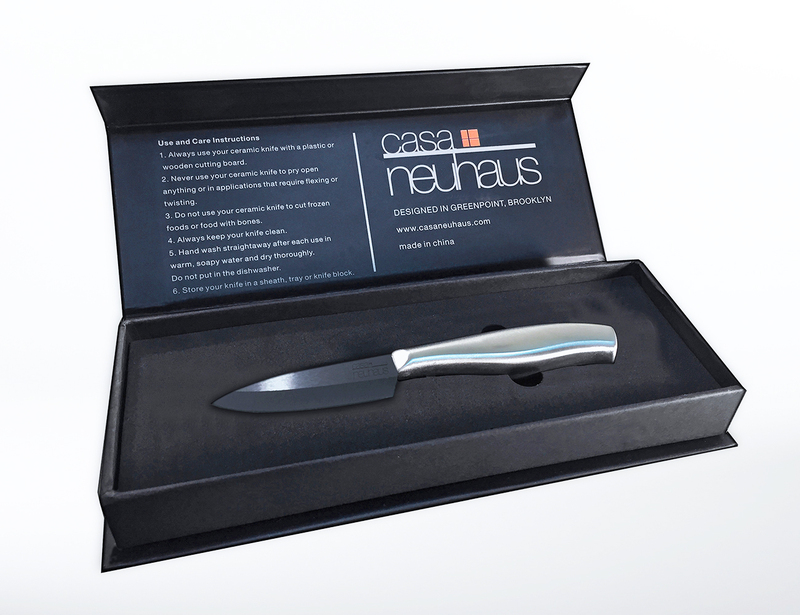 And I will year after year with your fabulous Casa Neuhaus Ceramic Knives! Gimme that knife! Good for chopping up veggies for a nice soup! “Gimme that knife!” I would make my grandmother’s cheese soup so I could put the knife to the test with onions, carrots, celery, and potatoes. Gimme that knife! 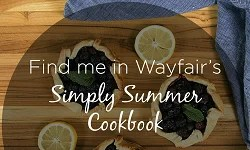 I would love it for tomato salads! Gimme that knife! I’m making paella for Christmas dinner! Gimme that knife! I will use it for lots and lots of veggie chopping, salads, soups, apples for apple pie. Gimme that knife! I’m following on facebook with the name Reagan Caleb. I would make jamaican jerk chicken or a chicken salad with the knife. Gimme that knife! I want to cut through lasagna, raw chicken, cooked chicken, tomatoes, fresh herbs, apples for the kid’s lunch, and so on. I have a ceramic knife now, love it, but am in need of an upgrade. I’ll check out Casa Neuhaus regardless of if I win or not. ! Gimme that knife! I’m making a big pot of Boeuf Bourguignon sometime over the holidays. A new set of knifes would do me well on that project. Gimme that knife! I’ll be using knives to cut myself free if kidnapped, and also in my career as a knife-thrower. OR vegetables. Probably vegetables. Thank you everyone for participating and congratulations to our winners!